Dressing like a Pokémon trainer is only part of a good costume. 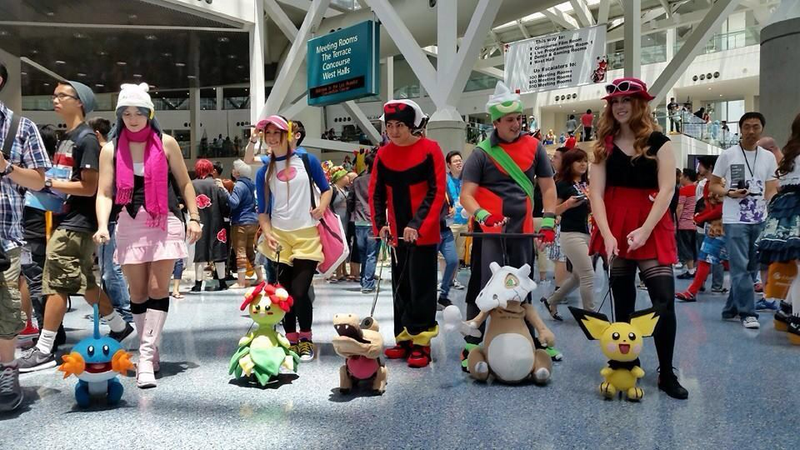 You also gotta get your Pokémon pals right—and this group of cosplayers nails it. 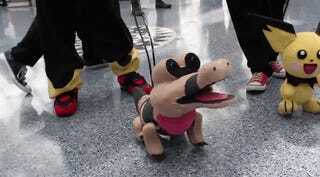 Check out these pictures of 4 Itchy Tasty Cosplay head Brett Horn at this year's Anime Expo. He created a bunch of to-scale Pokemon puppets, modeled above by a few friends (including Michelle D'Antonio). They're fully functional, and can be moved such that they mimic the actual 'mon they're based on. Neat! You can check out more of 4 itchy Tasty! Cosplay's work here.